V4 Report: Japan rebuffs the UN on migration, but avoids heavy slanders from the media. This scorn is reserved for the Visegrad nations and Austria. Interesting. 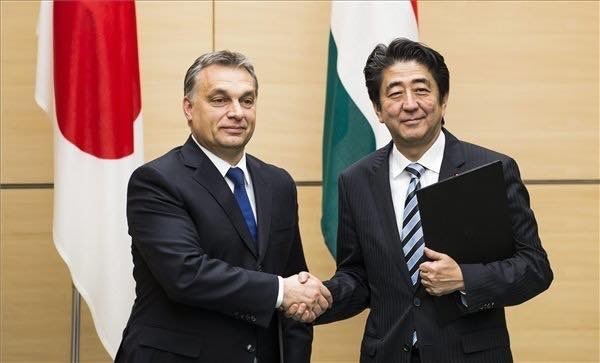 Japan seems to take the same approach as Visegrád on migration: No to the “resettlement” of migrants, but plenty of assistance and aid to the refugees in their homelands. We believe this is the best approach for all involved. According to freewestmedia.com, Prime Minister Shinzo Abe announced at the UN General Assembly that Japan would provide $1.5 billion in emergency aid for refugees and for stabilization of communities facing upheaval. But speaking to reporters later on Tuesday, Abe quickly killed the idea of Japan opening its doors to foreigners or refugees. “I would say that before accepting immigrants or refugees we need to have more activities by women, by elderly people and we must raise (the) birth rate. There are many things that we should do before accepting immigrants,” Abe said. Japan prides itself on being generous as one of the largest aid donors in the world. Last year Japan gave $181.6 million to the UNHCR, the United Nations’ refugee agency, making it second only to the United States in migrant funding. But it has offered no resettlement places for asylum seekers from the conflict in Syria. Ministry of Justice data shows that Japan accepted only 11 asylum seekers out of a record 5 000 applications last year, mostly from people from other Asian countries who had already been living in Japan. 1. It appears that Japan would rather focus on its many current problems before introducing fresh ones. 2. The lack of social justice warriors denouncing Abe’s statement as an outrage is revealing, as leftists generally denounce similar statements as “racism” and “Islamophobia”. Japan is both smart and rich, but they still possess plenty of common sense. Well done.